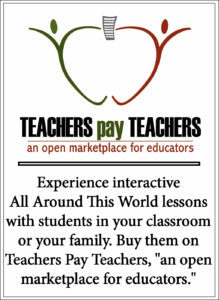 All Around This World’s classroom and homeschool lessons about Canada and the good ‘ol United States of America for kids introduce your family to so many cultures through interactive fun . . .
During this season of classes, All Around This World tries something a bit different–we sing most of our songs in English. English? That’s right. 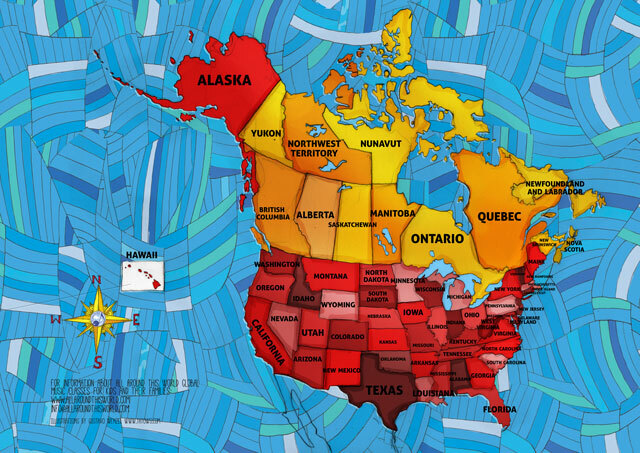 This season we explore music from the United States and Canada, most of which is in English. Of course we take music from the U.S. and Canada and turn it on its ear, learning about as many of the many multilingual and multicultural musical genres that either formed or came into focus in the U.S. and Canada–jazz, blues, rock, disco, salsa, cajun, etc.–while paying particular attention to their global origins. We sing conjunto songs from Texas and note their Mexican and German roots, we’ll trace Louisiana Cajun music back to its Acadian origins in eastern Canada, we’ll look back to Mali to find blues and we’ll travel back across the Bering Strait land bridge to meet great great grandparents of Native American music. — Native American and First Nations music: we bring rain with a Hope snake dance. — Cajun/Creole: we stay up all night dancing the cajun two step at a fais do do. — Disco: it’s fun to stay at the Y – M – C – A! !